To celebrate Mamba Day, Nike Basketball will be releasing a special colorway of Paul George’s Nike PG 3 silhouette. Dressed in a Multi-Color and Opti Yellow color scheme. The shoe is highlighted with a jagged abstract pattern covering the entire upper with a large Gold Swoosh on the midfoot. A flecked Black/Yellow laces atop a White midsole and Yellow outsole gives off that Lakers vibe. There will also be an upcoming “Mamba Mentality” Nike Kyrie 5 included in the celebration of Mamba Day 2019. Look for the Nike PG 3 “Mamba Mentality” to release on April 13th at select Nike Basketball retailers and Nike.com. The retail price tag is set at $110 USD. 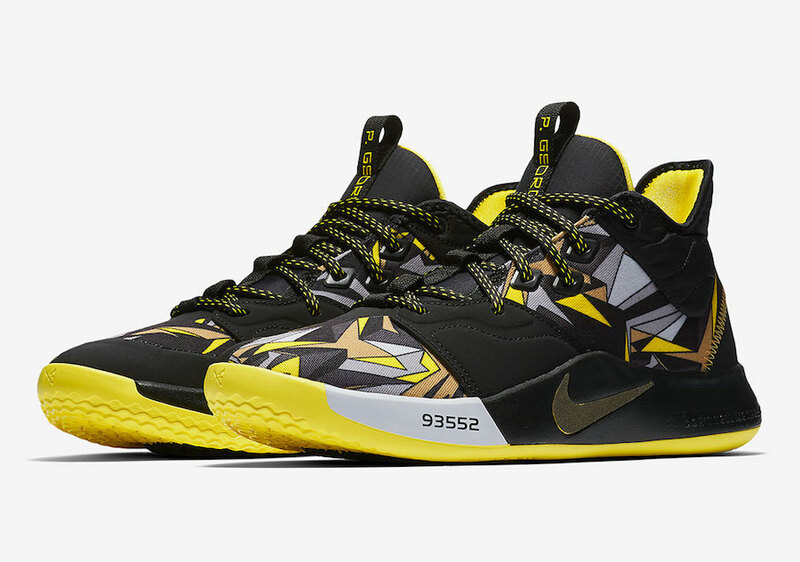 UPDATE: Nike releases official photos of the “Mamba Mentality” PG 3 releasing on April 13th.